It was a fabulous time of dress fittings, shoe buying and my first ever visit to the hairdresser. 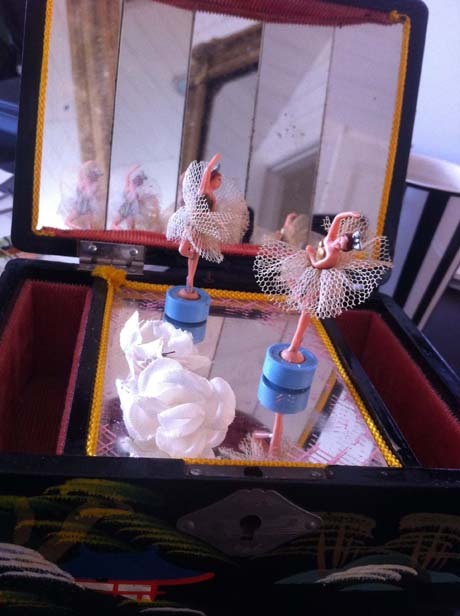 The back of my hair was studded with tiny white roses, two of which I found in my old music box …. 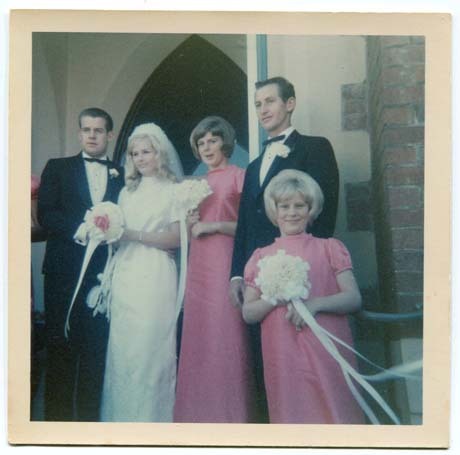 After the wedding the dress was shortened and I felt like a princess in my hot pink thai silk ‘good’ frock. 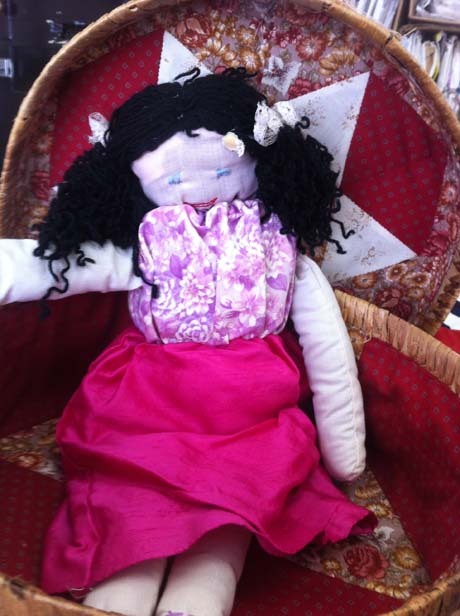 I labored for weeks making Jemima …. Oh to have had the choices of haberdashery that we have now. No such thing as prepackaged white fluffy stuffing, rubber foam chips or kapok were the only things around. 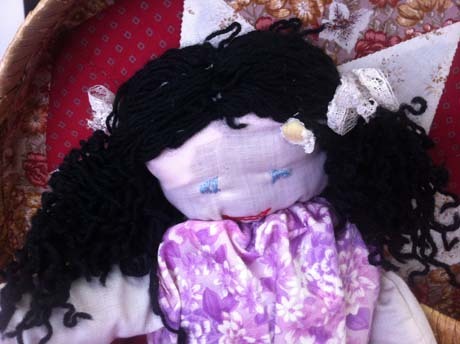 No such thing as eyes, noses, fabric paint, dolls hair …. it was ‘make do or not at all’. 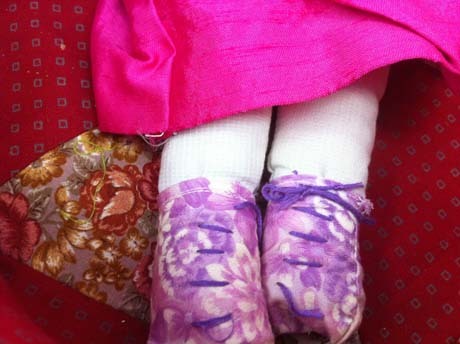 I recall feeling quite dissatisfied that the stuffing showed through her face but have always thought that unraveling hand knitted socks was a 10 year old’s moment of brilliance for curly hair ..
← Everyone has a Hobby….Don’t they? For a ten year old, very impressive doll!